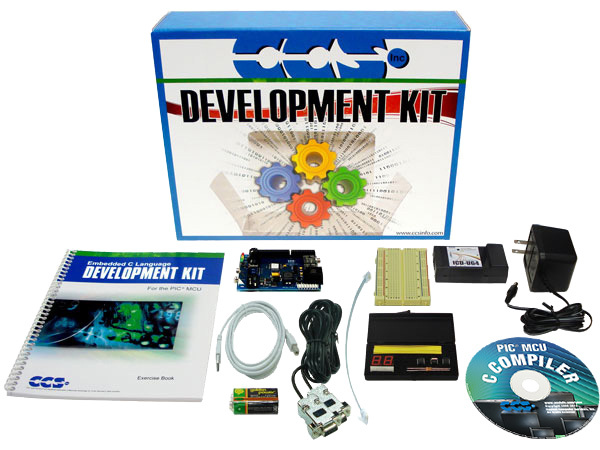 The development kit contains everything you need to begin development with Microchip's PIC® PIC24EP family. 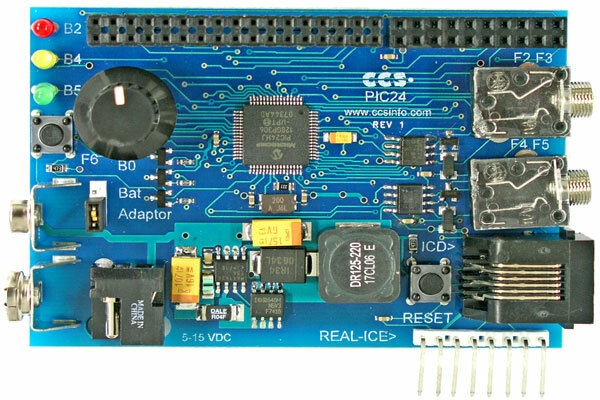 Along with a prototyping board, it includes the powerful PCWHD Integrated Development Environment with compiler support for Microchip's 8-bit and 16-bit PIC® MCU families and an ICD-U64 in-circuit programmer/debugger that supports C-aware real time debugging. The prototyping board features a PIC24EP256GP206 connected to a potentiometer, a pushbutton, three LEDs, two RS-232 jacks connected to a A4/A9 UART and B4/A8 UART, and an ICD connector.